This beauty features white pleated fabric shades in six arms. 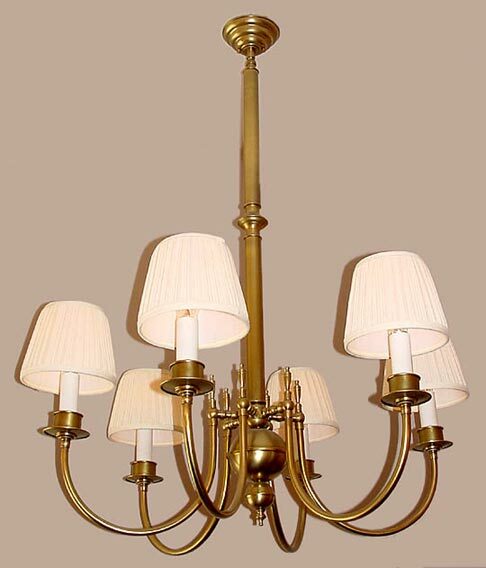 Traditional Old English Colonial country at its finest done right in the light Antique Brass Style. The shades clip on to the bulb for easy removal for dusting. For class, this is it!